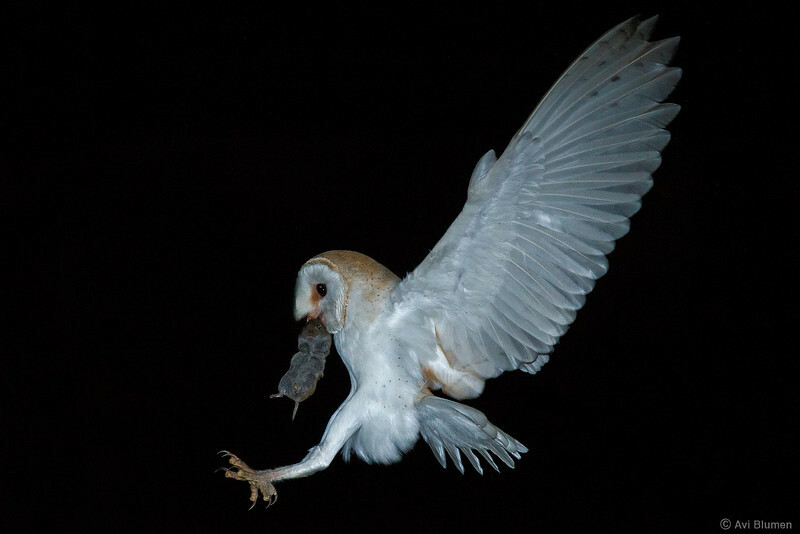 Barn Owl and its pray landing on a perch near it's nest. תנשמת עם טרף בנחיתה על ענף לא רחוק מהקן שלה. I'm curious about the set-up you're using to get these great shots!